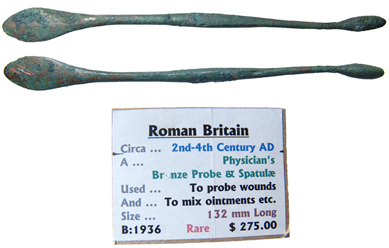 Medicine in ancient Rome was not such a pleasant thing, and surgery was close to torture. 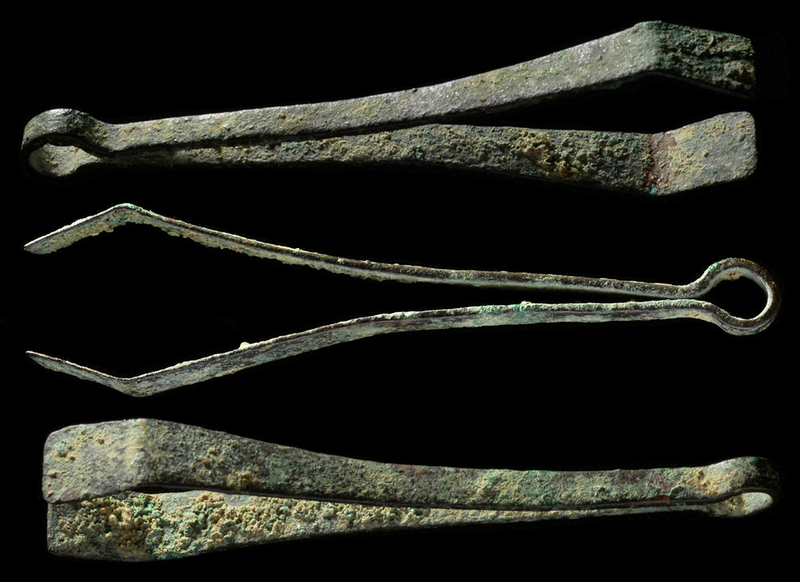 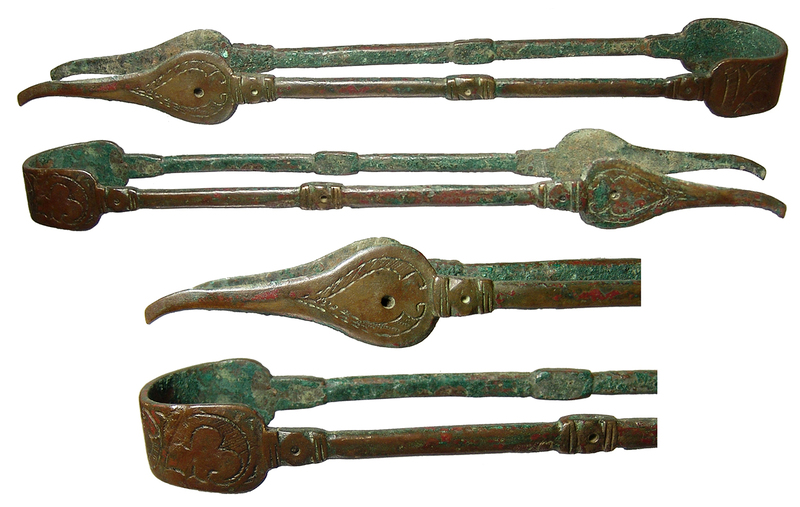 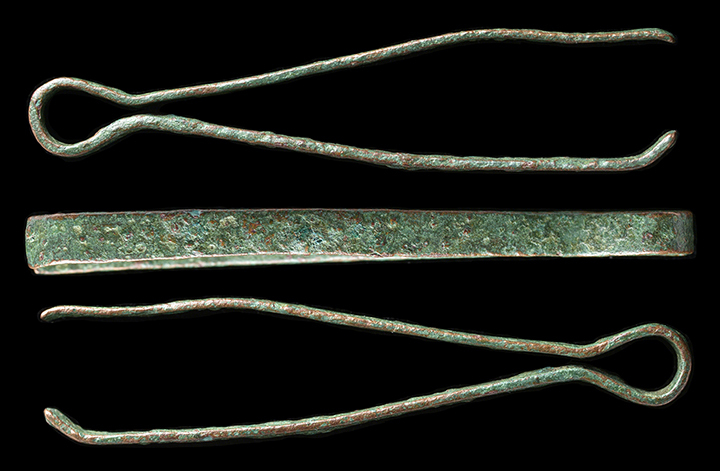 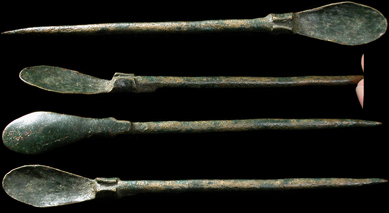 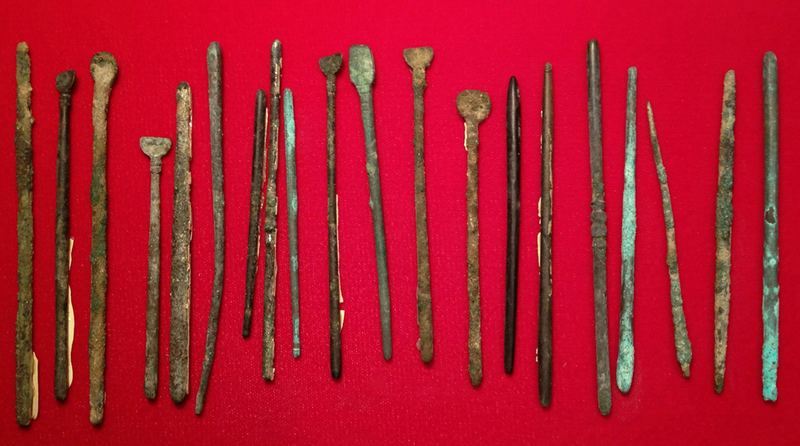 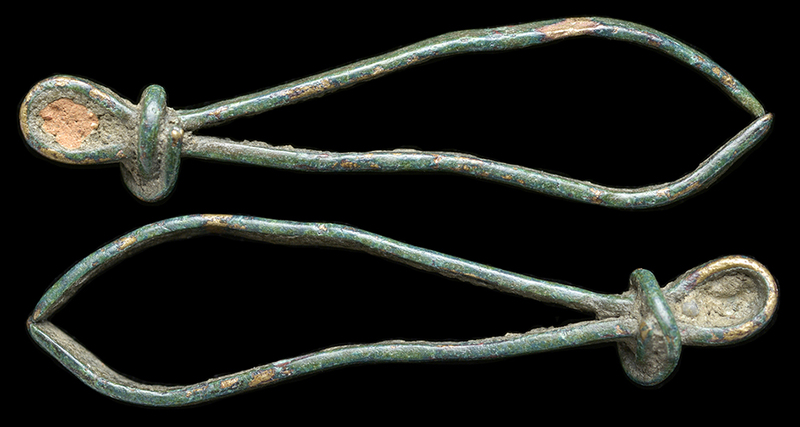 Offered here is a select collection of bronze tools and instruments Roman doctors and surgeons would have used to perform their work. 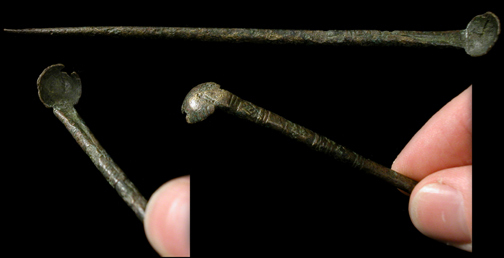 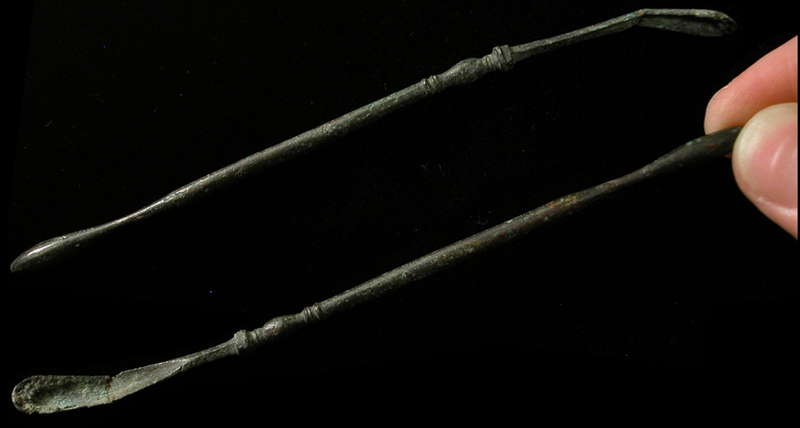 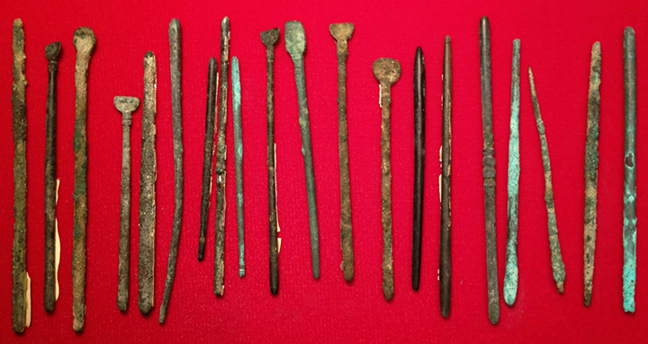 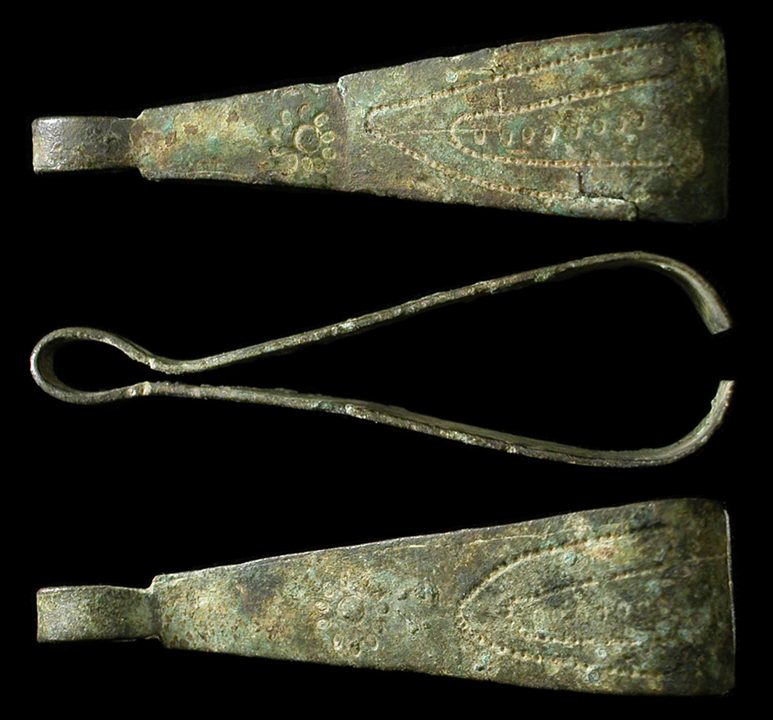 Unless otherwise specified, all found near Roman military encampments in Eastern Europe. Ancient Rome, c. 1st - 4th Century AD. 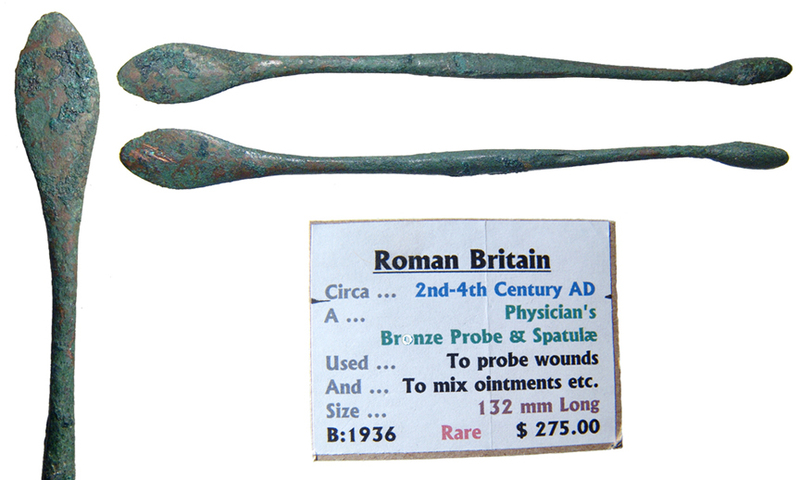 Nice bronze medical or cosmetic spoon with long spiral handle and bright green patina. 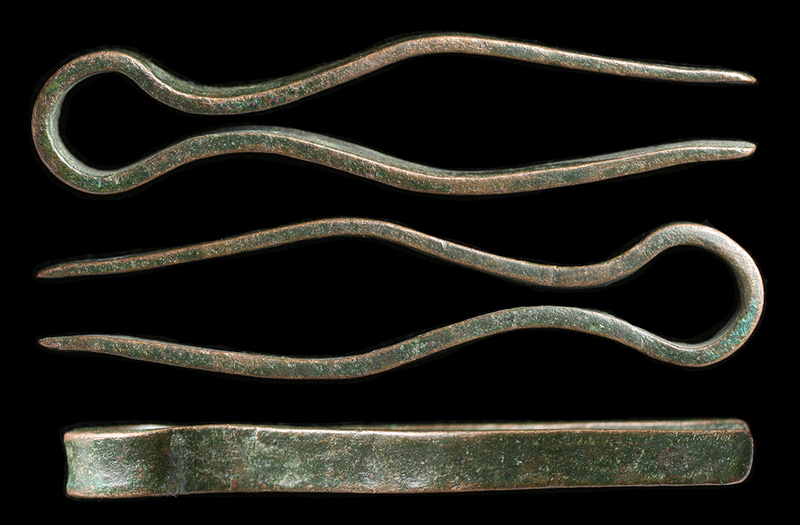 Ancient Rome, 1st-2nd century AD. 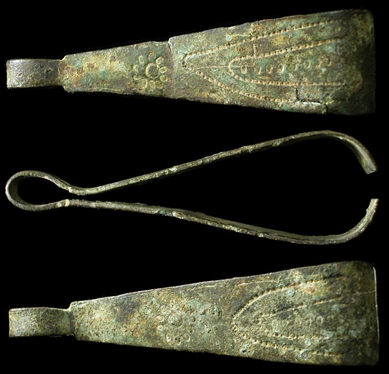 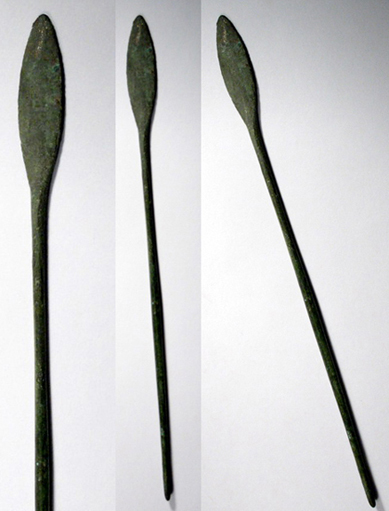 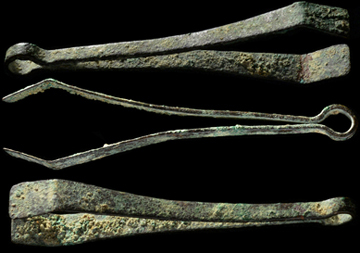 Fantastic and large bronze Ligula (medical spoon). 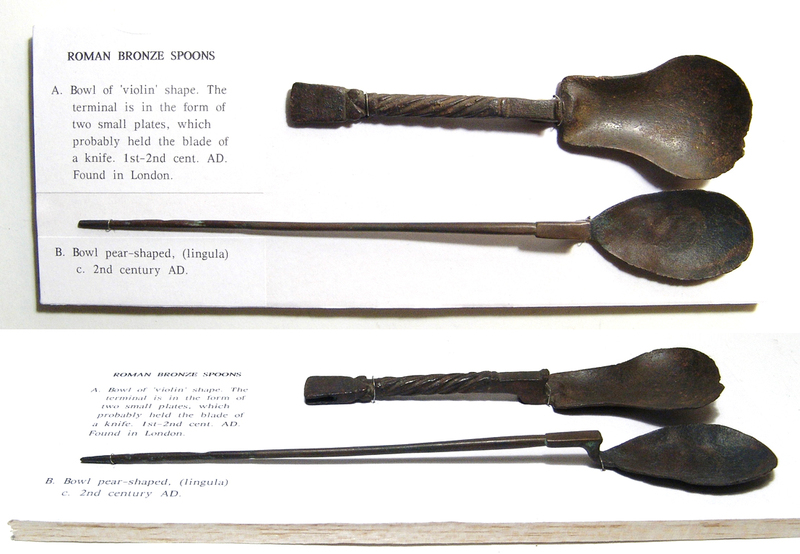 One end with a long, narrow spoon bowl used for extracting powdered medicines from pharmaceutical bottles (LIKE THESE), the other rounded to be used as a medical probe. These are terrible photos, I'm sorry!